'The First Noel' begins by mentioning the story that the Bible records in Luke 2:8-14 of angels announcing Jesus Christ's birth to shepherds in the Bethlehem area during the first Christmas: "And there were shepherds living out in the fields nearby, keeping watch over their flocks at night. An angel of the Lord appeared to them, and the glory of the Lord shone around them, and they were terrified. But the angel said to them, 'Do not be afraid. I bring you good news that will cause great joy for all the people. Today in the town of David a Savior has been born to you; he is the Messiah, the Lord. 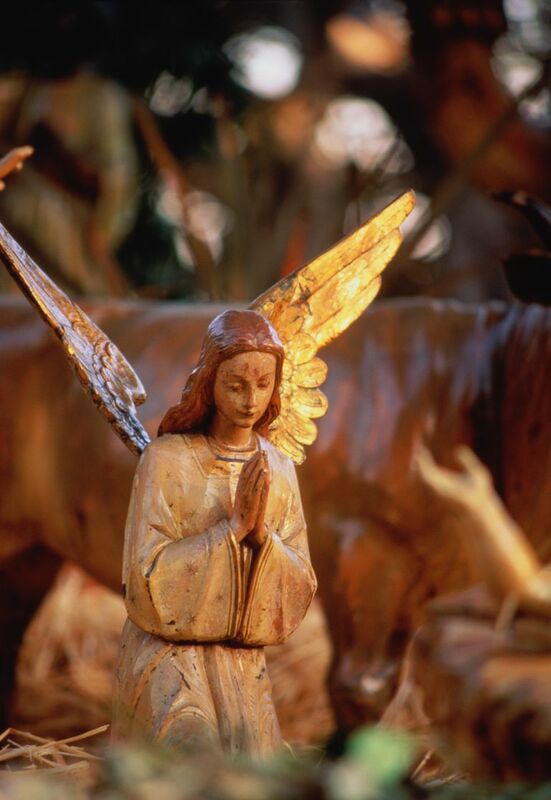 This will be a sign to you: You will find a baby wrapped in cloths and lying in a manger.' Suddenly a great company of the heavenly host appeared with the angel, praising God and saying, 'Glory to God in the highest heaven, and on earth peace to those on whom his favor rests.'" "The first noel/the angels did say/was to certain poor shepherds/in fields as they lay." 'The First Noel' is sometimes titled 'The First Nowell.' Both the French word "noel" and the English word "nowell" mean "nativity" or "birth" and refer to the birth of Jesus Christ on the first Christmas. History hasn't preserved the record of how the music for 'The First Noel' came to be written, but some historians think that the traditional melody originated in France as early as the 1200s. By the 1800s, the melody had become popular in England, and people had added some simple words to sing the song outside when celebrating Christmas together in their villages. Englishmen William B. Sandys and Davies Gilbert collaborated to write additional words and set them to music in the 1800s, and Sandys published the resulting song as 'The First Noel' in his book Christmas Carols Ancient and Modern, which he published in 1823.